PetBot is a digital device that allows users to watch over their pet and receive notifications when there is something happening. Users can dispense treats and talk to their pets using the built-in camera and speaker, while pets can send Pet Selfies to their owners in exchange for treats. 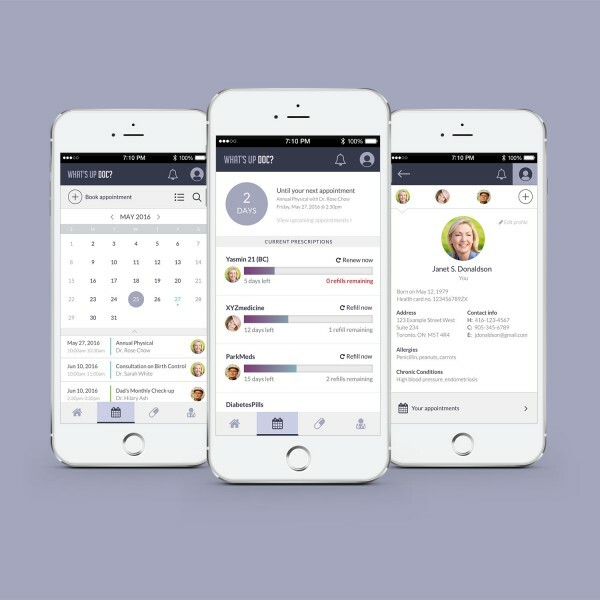 PetBot is on a mission to keep pet parents connected to their furry babies while they are away from home. 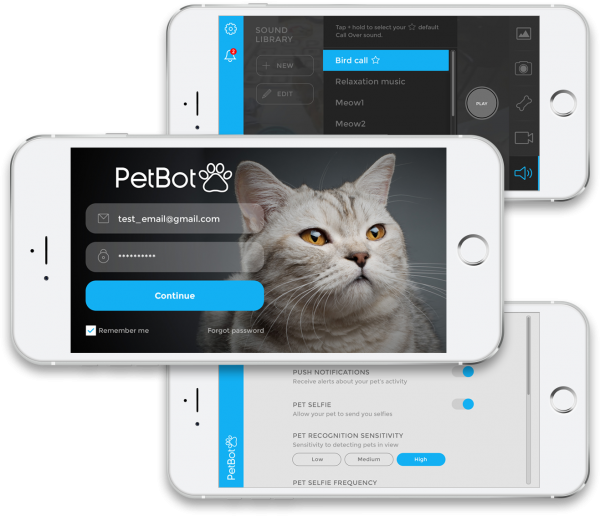 PetBot approached us looking to create a new interface design for their mobile app, which remotely controls the PetBot device and allows users to interact with their pets. 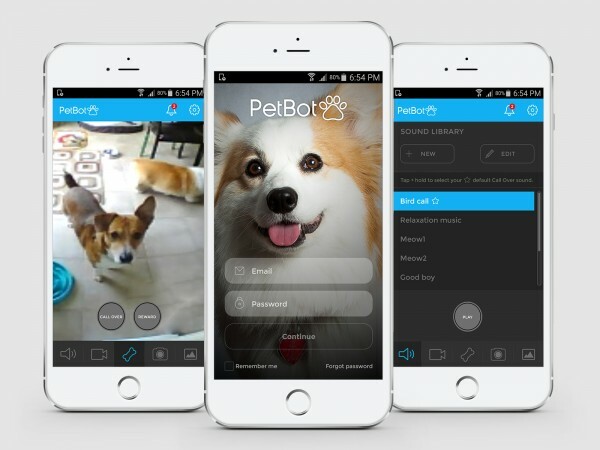 The main component of the PetBot app features a live feed of the user’s pet. Various controls were designed to allow users to dispense treats, play music or sounds, take photos and record videos. 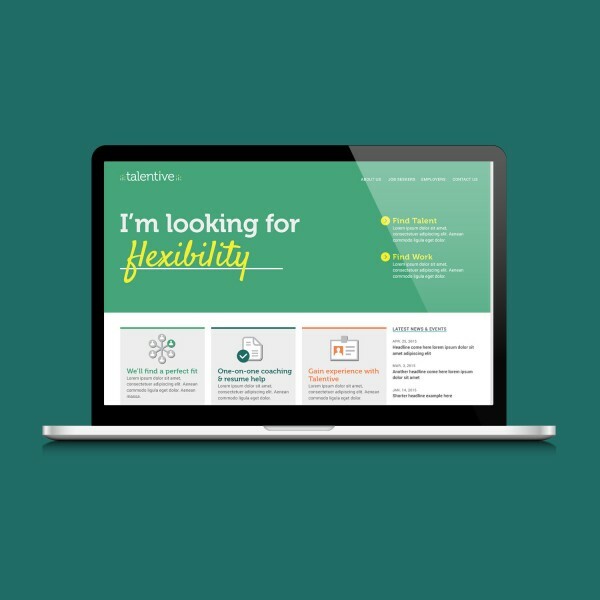 Both a portrait and landscape mode were supplied as functions for optimal video viewing and quick performance of actions. A multi-layered navigation was designed to overlay the live feed, so the user rarely loses sight of their pet while navigating the controls. 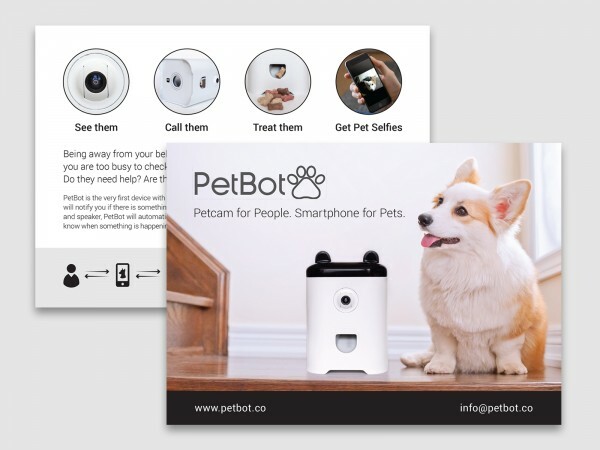 Some marketing materials were also developed for PetBot, including a promotional postcard and conference banner – both meant to quickly communicate the idea behind the device’s capabilities and appeal. 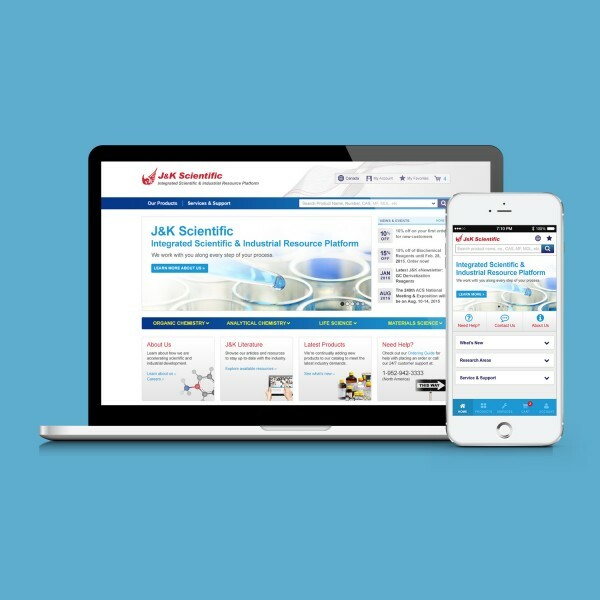 The promotional materials further enhance their mission and brand.